WITH just two games left in Johnathan Thurston's career, News Corp Australia is celebrating the great man and you can too by leaving him a personal message. Harper Collins will publish JT: The Autobiography, while fans have a chance to send him their well wishes, show their support on social media and nominate themselves as his biggest fan. To send JT a personal message, and nominate his No. 1 fan, just click on the first button below. To show your support on social media, Facebook, Twitter and Instagram, use the hashtag #ThanksJT. 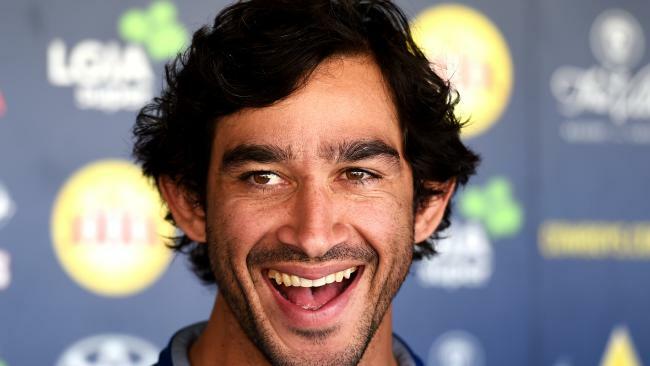 Scheduled for release on October 15, the book, co-written by The Sunday Telegraph's sports reporter James Phelps, JT: The Autobiography is a warts-and-all account of Thurston's incredible rise from an NRL reject to a four-time Dally M Medal winner. The book can be pre-ordered at Booktopia.com.au. JT will also talk about his life on a national speaking tour from October 18. For more details go to majoreventscompany.com.